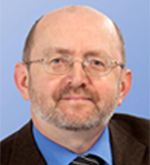 Dr. Cedric Shackleton has been a fundamental contributor to steroid metabolome analysis by mass spectrometry and has pioneered the technology and its application to the diagnosis of inborn disorders of sterol and steroidogenesis, with major translational impact. His work over 5 decades has defined the steroid metabolome of many congenital steroid disorders from synthetic to metabolic and receptor defects, pioneering the use of GC-MS in steroid profiling over 30 years ago. He has authored more than 350 PubMed-listed research publications and remains highly active, working at the Institute of Metabolism and Systems Research (IMSR) of the University of Birmingham, UK, helping to set up their specialist steroid methods. Furthermore, Dr. Shackleton has had great influence on those he has mentored over the years. 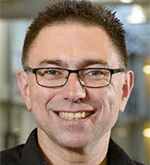 Manfred Wuhrer is professor of Proteomics and Glycomics and head of the Center for Proteomics and Metabolomics of the Leiden University Medical Center (LUMC)). 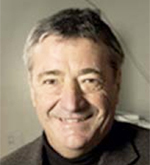 He is also chairman of the Dutch Society for Mass Spectrometry (NVMS). 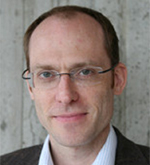 Manfred Wuhrer studied Biochemistry at Regensburg University, Germany. He obtained a PhD from Giessen University in 1999 on the Characterization of Stage-Specifically expressed Glycolipids of the Human Parasite Schistosoma mansoni. In 2003 he came to the LUMC establishing a research line on mass spectrometric glycosylation analysis. 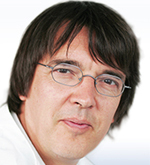 In 2013 Manfred Wuhrer became Professor Analytics of Biomolecular Interactions at VU University Amsterdam. In 2015 he was appointed Professor in Proteomics and Glycomics at the LUMC heading the Center of Proteomics and Metabolomics. Many major human diseases including various types of cancer and autoimmune diseases are associated with protein glycosylation changes. These changes are often instrumental in disease development and progression. In cancer, glycosylation changes of both tumor tissues and tumor-derived circulating antigens have been described. However, diagnostic test often merely rely on the measurement of antigen concentrations and fail to register glycosylation changes, largely due to the lack of suitable technology and workflows. In this presentation, examples will be given of recently developed mass spectrometric workflows to determine disease-associated glycosylation changes from tumor tissues and in the circulation, but also from other body fluids including urine and saliva. Promising markers will be presented including immunoglobulin G glycosylation, cancer glycoprotein antigens, as well as tissue glycosylation signatures revealed by mass spectrometry imaging. Steps towards the clinical translation of these markers will be discussed. The human metabolome represents functional read out of processes in health and disease. The metabolome is both stable and highly dynamic. Stable components are determined by genetics, genomic imprinting or physiological homeostasis. The dynamics originates from circadian rhythm, hormonal status, nutrition, environmental exposure, ageing, medication or disease. Despite its interlaced origin metabolome specifically reflects distinct processes. Metabolomics studies request therefore a special study design. Unique metabolomics signatures have been identified pre-disease (like type 2 diabetes), in disease progression (chronic kidney disease) or in companion diagnostics (drug action monitoring). Metabolomics informed diagnostics has great potential for selectivity, specificity and multiplexing of indications to be screened for. Clinical proteomics, the application of proteome analysis to clinical purpose, represents a major field in the area of proteome research. The aim of clinical proteomics is the improvement of clinical care based on (1) the identification and application of biomarkers, and (2) the suggestion of relevant therapeutic targets. These two areas have different requirements regarding specimens to be employed, technology, and data evaluation. While substantial efforts (especially in biomarker discovery, but also in the identification of therapeutic targets) are evident based on the large number of associated publications, only a few approaches have actually resulted in clinical application. In this presentation, key issues and major challenges in clinical proteomics will be discussed. Among these are: a) the definition of a clinical need and a context-of-use, b) selection of appropriate samples, sample preparation and analytical platform, c) application of appropriate statistics, d) demonstration of benefit in a well-powered clinical study and e) obtaining regulatory approval and reimbursement, to enable actual implementation. For several conditions and diseases, clinical proteomics has delivered solutions that are already being applied. Most successful developments are based on multi-marker panels that have demonstrated value in large studies (i.e., including at least several hundred patients). The results of these studies are expected to initiate a change in disease assessment: from diagnosis based on existing damage and therapy aiming to prevent deterioration, towards diagnosis based on molecular mechanisms, prior to observations of clinical symptoms, and therapy via correction of molecular anomalies, thereby preventing disease onset. This will also open a path towards personalized precision medicine, where intervention will be guided by molecular mechanisms, not morphological changes. It is becoming clear that the tools required to meaningfully apply clinical proteomics (i.e., potential biomarkers, relevant technology and bio-banked samples) are available. The move from discovery towards validation and application is not only urgently necessary, but within reach. Now, a change in objective, away from additional discovery studies and towards properly testing the plethora of potential biomarkers that have been described, is needed to demonstrate the practical value of clinical proteomics. Our goal in laboratory medicine is to improve patient health by using laboratory tests as our tool to support medical decisions. The change from immunoassay to mass spectrometry analysis of steroids has significantly improved the specificity, accuracy and sensitivity of many steroids frequently analysed in children. However, mass spectrometry assays are not infallible and recognised differences exist across the total testing process. There are demonstrated variations pre-analytically, analytically and post-analytically in methods and understanding what differences are critical and how results compare between laboratories is essential to close the gap between result differences between laboratories. In this presentation, we will explore the challenges and possible solutions for the harmonisation of paediatric steroid analysis by mass spectrometry to support medical decisions. Dr Thevis graduated in organic chemistry and sports sciences in 1998. 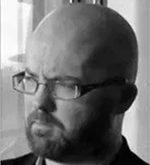 He earned his PhD in Biochemistry in 2001 and did post-doctoral research at the Department of Chemistry and Biochemistry of the University of California Los Angeles (UCLA) in 2002. After being a senior researcher from 2003 to 2005 he was appointed as Professor for Preventive Doping Research at the German Sport University Cologne in 2006. 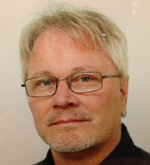 Mario Thevis further qualified as Forensic Chemist, acts as director of the European Monitoring Center for Emerging Doping Agents (EuMoCEDA), and is Editor-in-Chief of DRUG TESTING & ANALYSIS. Since 2014, Professor Thevis is also vice president for research at the German Sport University Cologne. Sports drug testing laboratories are facing multifaceted challenges including the misuse of naturally/endogenously occurring substances, non-approved/discontinued drug candidates, urine manipulation, etc. In order to provide best-possible analytical performance, mass spectrometry-based approaches are predominantly utilized to detect prohibited substances and methods of doping. With the constantly increasing analytical requirements concerning the number of target compounds, the complexity and range of physico-chemical properties of analytes (e.g., inorganic ionic transition metals, gases, lipids, alkaloids, peptides, proteins, DNA/RNA-based drugs, etc.) as well as the desire to accelerate analyses and obtain information allowing also for retrospective data mining, high resolution/high accuracy mass spectrometry has become a mainstay in doping controls. In that context, various assays have been reported, enabling either multi-component analyses of low- or high molecular mass measurands or the specific and dedicated (confirmatory) detection of prohibited substances. Liam McDonnell obtained an MCHEM in Chemistry from the University of Oxford, UK, and a PhD in Chemistry from the University of Warwick, UK. 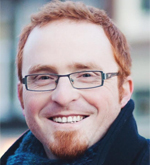 Following a post-doctoral researcher position at the FOM institute for Atomic and Molecular Physics in Amsterdam, he started his own research group at Leiden University Medical Center, where he is Associate Professor. He is director of Proteomics at the Fondazione Pisana per la Scienza, and Vice-President of the Mass Spectrometry Imaging Society. Mass spectrometry imaging (MSI) is able to simultaneously record the distributions of hundreds of molecules directly from tissue. This spatially-resolved molecular information can be combined with multivariate/clustering analysis to reveal regions of tissue with distinct molecular signatures, a process that has been termed MSI-based molecular histology and has been used to reveal tumor subpopulations, metabolically distinct cell layers, and tumor interface zones. Rapid direct tissue analysis is essential for MSI in order to maintain spatial localization and acceptable measurement times. The absence of an explicit analyte separation/purification step means MSI lacks the depth of coverage of LC-MS/MS. Here, we demonstrate how MSI can be combined with high sensitivity microproteomics, even of the same tissue section, to further investigate the molecular changes associated with tumor subpopulations. The majority of proteins are glycosylated and their glycan parts have numerous structural and functional roles. This essential posttranslational modification is generated by a complex biosynthetic pathway comprising hundreds of glycosyltransferases, glycosidases, transcriptional factors, ion channels and other proteins. Since glycans are created without the genetic template, alternative glycosylation creates an additional layer of protein complexity by combining genetic variability with past and present environmental factors. Individual variability in glycome composition is very large, but glycosylation of an individual protein seems to be under strong genetic influence, with heritability being up to 80% for some glycans. Structural details of the attached glycans are of great physiological significance and many pathological conditions are associated with various types of glycan changes. For example, glycans attached to the Fc part of immunoglobulin G are important modulators of IgG effector functions. Slight modifications in the composition of the IgG glycome significantly tune IgG towards binding to different Fc receptors and can convert IgG from a pro-inflammatory effector into an anti-inflammatory agent. David S. Millington, PhD, is Emeritus Professor of Pediatrics, recently retired from Duke School of Medicine. He and his colleagues pioneered the application of tandem mass spectrometry for the targeted analysis of acylcarnitines that became a frontline diagnostic test for defects of fat oxidation and branched-chain amino acid catabolism. Subsequently, the method was modified to include several essential amino acids and applied to dried blood spots, paving the way for the expansion of newborn screening for from a handful to over 30 metabolic conditions. As the expanded newborn screening method has spread, Dr. Millington has developed educational material and taught many laboratorians and follow-up coordinators worldwide how to apply the technology and interpret results. Expanded newborn screening by MS/MS is now applied to tens of millions of neonates annually and has help save thousands of lives. More recently, he has collaborated with a North Carolina biotechnology company to bring digital microfluidics into biochemical diagnostics and newborn screening. He has also pioneered novel biomarker assays for numerous lysosomal storage conditions to facilitate patient diagnosis and monitoring. 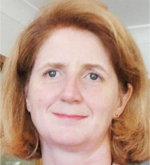 Dr Millington has published over 200 research articles and book chapters and has served on the North Carolina Newborn Screening Program Advisory Board since 1990. He was honored jointly with Dr Mohamed Rashed by the ISNS with the Robert Guthrie award for outstanding contributions to newborn screening in 1996. 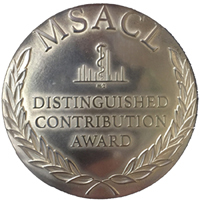 He was also honored by the MSACL in 2015 with their first Distinguished Contribution Award in recognition of achievements made in the field of clinical mass spectrometry. Imaging Mass Spectrometry (IMS) has made rapid progress as an imaging modality that can map the spatial distribution of molecules in tissue. In recent years, novel computational developments have become an increasingly important part of major advancements in this field. This talk presents several computational techniques developed in our group, specifically relevant to molecular imaging in medicine and the clinical practice. We show recent work in low-level signal processing, where in silico integration of isolation windows enables High-Dynamic-Range mass spectrometry, substantially increasing MS sensitivity. We also address advancements in data-driven image fusion, a multi-modal data mining methodology that drives the automated discovery of biomolecular relationships between stained microscopy and IMS, thus directly linking exploratory tissue analysis to established clinical targets.